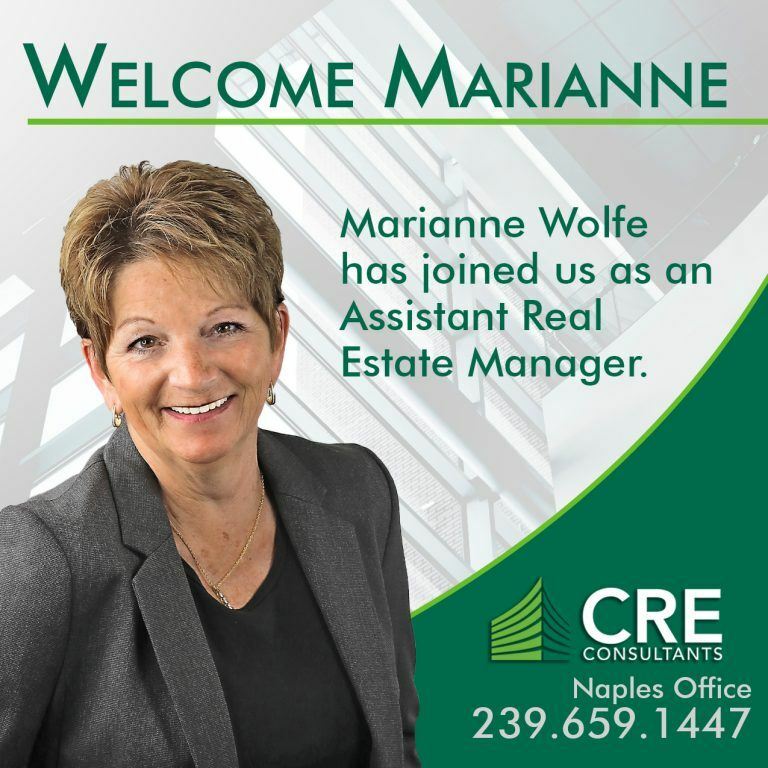 Marianne Wolfe has joined the property management team as an Assistant Real Estate Manager at CRE Consultants. Marianne is based out of the Naples office, where she will handle owner and tenant relations, collections and cost containment, among other real estate asset services. Marianne has been in the Property Management field for over 20 years, primarily in Association Management and Apartment Management. As an Apartment Manager, Marianne handled all aspects of daily operations including leasing, collections, eviction processing, managed the maintenance staff, A/P & A/R, banking, and tenant issue resolution. In her role as an Association Manager, she facilitated community meetings, budgets, one-on-one interaction with Homeowners and Boards, and all vendor coordination. She has held her Community Association Managers License (CAM) for the past 10 years, and is currently pursuing her Florida Real Estate Salesperson’s license.